How do I report sexual harassment to my employer in California? Having inappropriate sexual jokes, derogatory comments, innuendo, unwanted touching, and repeated or aggressive requests for sexual favors directed toward you on the job creates an extremely hostile workplace. Fortunately, California's Fair Employment and Housing Act—also known as FEHA—not only prohibits workplace sexual discrimination, harassment, and retaliation, it also requires employers to take reasonable steps to prevent such behavior, and correct it when it occurs. If you've experienced sexual harassment at work, it's important to report the harassment to your employer as soon as possible to give them the opportunity to take the necessary corrective action. The law requires employers to have a written anti-harassment policy in place; this policy should specify whom to approach with sexual harassment complaints. Depending on the structure of your company, this person may be your direct supervisor, a human resources manager, a diversity or equal employment opportunity coordinator, or a designated ombudsperson. In some cases, employees may be advised to direct their complaints to a company anti-harassment hotline. Employers who understand their obligations under the FEHA often work to resolve sexual harassment complaints as quickly as possible. However, if the employer fails to put a stop to sexually inappropriate behaviors in the workplace, the victim can file a harassment complaint with the California Department of Fair Employment and Housing (DFEH). Submitting this complaint to the DFEH is a prerequisite for filing a sexual harassment lawsuit in California. While California legislators are considering extending the time to file a claim, as of the date of the post, the time limit for filing a claim is one year from the date of the last act. When filing a complaint with the DFEH, you can request the immediate issuance of a “right to sue” notice or wait for them to issue the notice after thoroughly investigating your claims. Once you've received a right to sue notice, you have one year to file a lawsuit seeking compensation for workplace harassment. If you've experienced sexual harassment in the workplace, the skilled attorneys with the Inland Empire Law Group can help you understand your legal rights and options for compensation. Contact us today at (909) 481-0100 or ​(888) 694-3529 to schedule an appointment for a free initial case consultation. How can I spot a capper? The use of cappers to solicit business is illegal under California law, but it is not always easy for someone who has been injured to identify a capper. If you are searching for a personal injury attorney, there are a few factors to remember to help you find ethical representation. A capper, also called a runner or ambulance chaser, is a person or organization who is acting for compensation on behalf of a lawyer or law firm to solicit business for the lawyer or law firm. You are being lured by a capper if you are approached shortly after your accident by a person who claims to be working for a law firm. Cappers approach potential clients at accident scenes, at a hospital, at funerals, or at their private residence. These individuals have not been contacted first by you or your family and are engaged solely to get your signature on a contract while your are desperate and have not had a chance to speak to a lawyer who abides by the law. 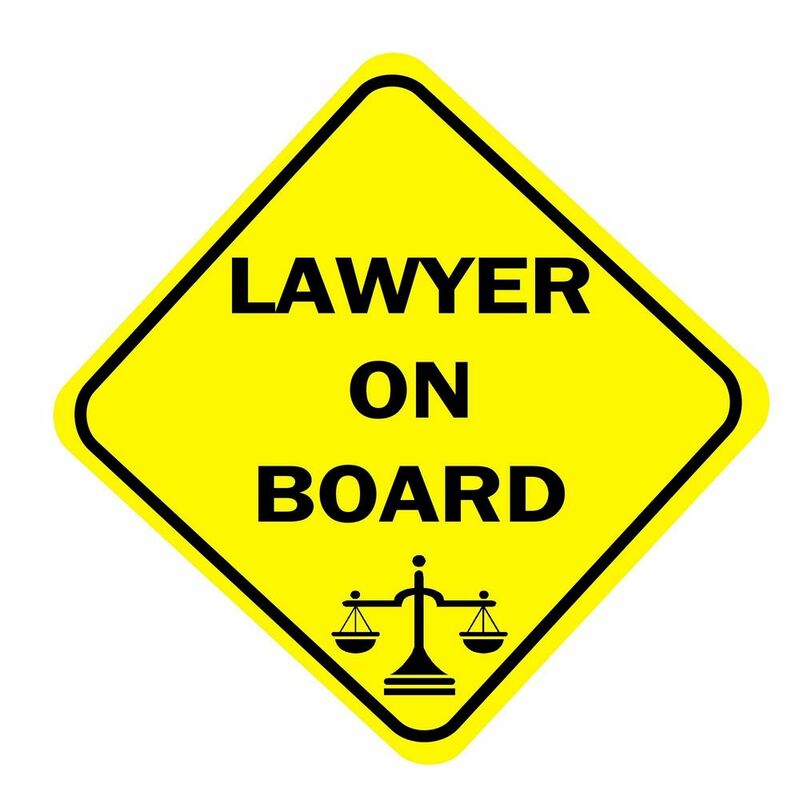 There are risks associated with hiring an attorney that approaches you after an accident. This person will use aggressive sales tactics and will make unrealistic promises to attempt to convince you to become a client of the law firm, often appealing to your worry about your injuries and your financial needs for your family. They will provide vague and misleading information instead of being forthcoming with answers to any questions you have about your legal rights. Unsolicited phone calls and letters that arrive after an accident are also a warning sign of a capper. When a letter contains personal information that should not be publicly available, this is a sign that an attorney is trying to solicit business improperly. When someone calls your home that you do not know, they researched your contact information or got your telephone number illegally from someone who is tasked with keeping your information confidential. Cappers are paid a fee for each client they bring to an attorney's office, plus a part of the final settlement. Some cappers can receive tens of thousands of dollars to secure your signature on a retainer contract. A capper has no interest in protecting your legal rights only to secure a payday for them for violating the law. This scam is all about making an easy profit. It is likely that you will be pushed to settle quickly and may receive subpar representation from an attorney you may never even meet. When it comes to finding ethical representation, the best approach is to do your own homework. Visit attorney websites in your community to learn about their qualifications and see what they can offer you. Then schedule an initial consultation to discuss your legal rights and options for making a personal injury claim against the person or entity that caused your injuries. The legal team at Inland Empire Law Group never uses runners and cappers to secure clients for the firm. We would rather lose the opportunity to serve a client than to start a relationship based upon illegal activity. Our personal injury team serves residents of Rancho Cucamonga, San Bernardino, Ontario, Victorville, Fontana, and the surrounding areas of the Inland Empire. We will also represent clients in all of Southern California. Our attorneys are dedicated to advocating for the interests of California residents who suffer injuries due to the negligence of others. Call (888) 694-3529 or (909) 481-0100 today to schedule a free, no-obligation case review. Hiring the right lawyer for your legal representation in a personal injury case can be difficult. There are many attorneys that will say they want to handle your case at the very beginning when they think a quick settlement is in the works. Many times, when a person is dealing with the pain and financial losses from an accident, they make quick or rash decisions about which attorney they hire. As time progresses, you realize that the promised services are not being fulfilled and you conclude you may have hired the wrong lawyer or law firm. It's important to keep in mind that you are not locked into your initial decision. You have a legal right to fire or change your lawyer if you are unhappy how he or she is handling your case. Ultimately, whether at the beginning of the case or later on, the process of hiring the right lawyer who will stick with you through the entire process is the single most important action you will take at the outset of your personal injury case. When Is it Appropriate to Find a New Lawyer? Your lawyer is rude and doesn't answer your questions. Even though you didn't attend law school yourself, don't forget that your lawyer was hired to be your advocate. The lawyer works for you. You and your concerns should be respected and you should have your questions answered. If your lawyer is rude, condescending, and dismissive, seeking other legal representation is a smart move. Your lawyer doesn't seem interested in resolving your case. Although it's common for lawyers to be working on multiple cases simultaneously, there's an expectation your lawyer will work on your case in a timely fashion. If your lawyer doesn't seem to be making progress on your case and/or your requests for updates are continually ignored, it's time to find new representation. You're questioning your lawyer's competence. Finding other representation should be a priority if you have serious doubts about your lawyer's competence. A recently admitted lawyer, unsupervised by an experienced attorney, often doesn't have the experience necessary to handle a complex personal injury case. Additionally, you may also have a cause for concern if your lawyer doesn't normally handle personal injury cases. A lawyer can be excellent at practicing criminal law, but personal injury law requires different knowledge and skills. Finally, if you are concerned your lawyer may be experiencing substance abuse or financial problems, change lawyers immediately. Your lawyer is engaged in unethical behavior. A lawyer who advocates falsifying evidence or lying about the facts or the extent of injuries can't be trusted. Sexual harassment or other similar misconduct would be another example of grossly inappropriate conduct that justifies finding another lawyer. If you've decided to change lawyers for your personal injury claim, start first by looking for another attorney with whom you are comfortable and who is willing to have your case transferred to him or her. If you are able to find the right attorney for your case, hire that attorney and he or she will send your current lawyer a written notice of your decision, to stop working on the case and to transfer the files to the new lawyer. If you have not found another attorney to handle your case, you may want to attempt to work with your current lawyer to see if he or she will be willing to refer your case to another attorney due to your unease with the current representation. As a last resort, send a letter to the lawyer clearly and objectively stating the reason or reasons why you feel your lawyer isn't qualified to represent you in your personal injury claim. Within the letter, provide instructions as to where to send your case file. Send the letter via certified mail so you have documentation of its delivery to the lawyer. If your case is currently pending before a court, additional paperwork is required to be filed with the court notifying the court and opposing counsel of the change of counsel. This form is called a Substitution of Attorney. Your new lawyer will prepare this form, or if you do not have an attorney at the time you terminate, your courts’ website should provide online access to the form. Since personal injury lawyers work on a contingency fee basis, you may find yourself wondering if there is a financial penalty involved in firing your lawyer before the case is completed. When you switch lawyers in the middle of a case, your initial lawyer will have a lien or claim against the settlement you receive. He or she won't be able to collect the full original percentage, but your former lawyer is still entitled to compensation for the reasonable time and costs spent preparing your case. This expense should not increase your cost for legal fees, but it does impact the amount of money your new attorney may receive for the services to be rendered on your behalf. Depending on the stage of the case, this fee division may make it challenging to get another lawyer to take over your case, because the greater the lien, the lower the compensation is for the new attorney to take over your case. Some contracts will have language stating that your lawyer is allowed to withhold case files until current charges are paid in full. However, under California law, your attorney cannot withhold your file, regardless of the terms of the legal services contract. The file belongs to you, not the lawyer. Under some limited circumstances, the need to pay your prior attorney may not be required at all. For example, if your lawyer was engaging in unethical conduct, was under suspension or failed to perform the required services, then a court may determine that you were justified in terminating the contract and you may not be fully responsible for the legal fees claimed by the prior attorney. Also, if your lawyer terminates you without cause, the lawyer may not collect fees which would have been paid if the lawyer completed the work. Why Should I Seek Representation From Inland Empire Law Group? The Inland Empire Law Group may consider taking on a case that was started or handled by another attorney. Once you meet with our staff, you will be able to see we are highly qualified and desire to meet or exceed your expectations. You may want to hire our firm at your initial meeting. However, in many instances, we advise individuals not to change attorneys because we see the work performed is within the standard of care for personal injury attorneys. We may make recommendations to perform certain acts to work with your current attorney before deciding to make a change. Unless your attorney is truly not doing his or her job, we often decline the transfer of an ongoing case. On the other hand, if there appears a real need for you to change counsel, we will help you with that process, and will if we agree with you, we will represent you and work hard for your benefit. Inland Empire Law Group’s attorneys have extensive experience assisting California residents in settling personal injury claims. Please call (888) MY IE LAW to schedule a free, no-obligation consultation at either our Rancho Cucamonga or Victorville offices. How Do I Know I am Hiring the Right Lawyer? d that lawyer. If you had an injury accident in the Inland Empire, find an experienced Inland Empire personal injury lawyer. Maybe you are dealing with a divorce, a breach of business contract or a probate matter, then locate a lawyer close to you who specifically works in your area of need. A local divorce attorney for a divorce, a nearby business litigation lawyer for a breach of contract, etc. Next research lawyer web sites and their online presence. Read as much as is provided by the lawyers’ websites. Educate yourself from these websites. Ask yourself, is this attorney interested in me and my education, or is he/she more about self glory. Watch any available videos the lawyer has. Ask yourself, is this the person you would like standing by you advocating your case before a jury? If yes, keep him/her on your list. If no, drop them. Once you have identified several possible candidates, check with the California State Bar website, www.calbar.ca.gov to make sure they are active with the State Bar and to see if they have any history of violations. Eliminate those who concern you. Finally, visit their office to meet the lawyer or his/her staff. It is important you go to their office for the interview. You want to make sure they appear stable and will be around when you need them the most. During the interview, was your confidence raised by them? Were all questions answered? Did they seem to understand your needs? Did you feel comfortable with trusting your legal matter to them? Is the agreement fair and reasonable? If the answer to these questions are “yes,” and you are ready to start, hire that lawyer and trust you will be properly represented. Why is Everyone’s Injury Case Worth Different Amounts? There are so many times when someone says something to me about their friend settling her accident case ten years previously for a certain amount. Then they tell me that if she got that much for her case, they feel entitled to at least that sum for their claim. Is that a proper measure of value for a case? It is not. A person should really look to the details of their own case to identify the key issues which determine the value for their case. Thereafter, case comparisons in a broader sense, over multiple cases, and over an extended period of time can provide some direction. Each case is individualized making it impossible to do one-to- one comparisons between cases. Each injury will be unique such that one person may suffer a long-term lower back injury, while another, in the same accident, was minimally injured. Even though these two people were involved in the same accident, the value of their claims will be significantly different. So one factor in determining the value of a person’s claim is the severity of the injury. Another factor in determining the financial value of a claim has to do with the nature of the accident itself. Some accidents are extremely severe, leaving no question the individual suffered a serious injury. Other accidents are less serious and the injuries from these accidents are challenged by the opposing party. A third factor has to do with the responsibility for the accident. If an injured person was partially responsible for the accident, then her fault will proportionately reduce the value of the case. Fourth, is the amount of available insurance or assets to cover the claim. If available insurance is minimal, even with a serious accident, there may be limited funds to pay for the injuries suffered. Can I Use a Paralegal for My California Personal Injury Claim? The short answer is yes you may. But you must understand the many limitations associated with using a paralegal. First, in California, not everyone who calls themself a paralegal actually are allowed to use that title. Any independent individual, that means a person not working for a lawyer, government or corporation, cannot use the term paralegal. These individuals are legal document assistants. They may not provide legal advice. They may not help you make legal decisions or anything else which may be deemed legal services. Read more about the dangers of using a paralegal or legal document assistant. Does a Property Owner Have to Pay The Medical Bills for an Injury on His Property? The initial answer to this question is, no. However, there are some exceptions to the rule. First, many property owners maintain insurance with two types of coverage. First, is liability insurance. This pays out if the policyholder is proven to be negligent in causing the injury. The second is a medical payment coverage. This coverage is generally a low limit coverage of $1,000 to $10,000.00 which pays for medical expenses for an injury on a property, regardless of any fault. The injured individual merely submits bills to the insurance company and it pays the bill. However, without medical payment coverage, the property owner has no obligation to pay the medical bills, unless he is found to be negligent for the injuries suffered by the claimant or plaintiff. If an injured person proves that the injury was caused by the improper acts of the property owner, then he may recover reasonable medical expenses necessary for the treatment of the injuries caused by the accident, loss of earnings from the inability to work following the accident, other related out-of-pocket expenses and general damages, which include pain and suffering, disfigurement, loss of enjoyment of life and other intangible damages. Oftentimes, a claim is settled before trial because the evidence points to the possibility of liability against the property owner, or against the injured person. If the parties to the claim can agree upon a reasonable settlement figure, the claim can resolve without a lawsuit. Settlements are designed to limit liability to a defendant and compensate a plaintiff for the injuries suffered. How Likely is it that Your Personal Injury Case Will End Up In Trial? The likelihood of your case going to trial depends on the strength or weakness of the facts of the case, the legal issues and controversies involved in the dispute, as well as the effectiveness, reasonableness and cooperation of the parties and their lawyers in trying to settle the case. Of all personal injury cases filed with the courts, only about 5% of them end up in trial. There are many, many other cases which never get filed with the court because they are settled prior to filing a lawsuit through settlement negotiations. Ultimately, if you have a reasonably strong case, there is less than a 5% chance your case will go to trial. So what happens to all the cases that never go to trial? A great majority of those cases will get settled prior to trial. They may get resolved through private negotiations directly between the attorneys and an insurance company. Other cases may require the use of a mediator at a private mediation to help move the parties to a resolution. In some situations, a mandatory settlement conference, sponsored by the court, is used to secure a settlement. A few cases may be transferred to a private arbitration by agreement or contract. A percentage of the filed cases will be dismissed by the court because they are improper and cannot be brought to trial. These dismissals come from demurrers, motions for judgment on the pleadings and motions for summary judgment or summary adjudication of issues. Finally, some cases are voluntarily dismissed by the person who brought the case because he or she determines success in the case is not likely or they just cannot afford to pursue the case through trial. For more information on trial or settlement, click here. Hiring a personal injury attorney experienced in both trial and pre-trial settlement negotiations gives you, an injured person, the best chance of a successful recovery in a personal injury case. If you are contemplating a personal injury claim against someone who caused your injuries in Southern California, then you should contact the Inland Empire Law Group for a quality evaluation of your case and excellent, ethical representation. Call Now. 909-481-0100. How Do You Protect The Statute of Limitation in a California Personal Injury Case? 2. File a lawsuit against the defendant in the appropriate court before the expiration of the relevant statute of limitation. For more information on statutes of limitation, click here. What Is Hearsay Evidence? And Why Is It Restricted? Hearsay is defined as: “evidence of a statement that was made other than by a witness while testifying at the hearing and that is offered to prove the truth of the matter stated.” This is called the “hearsay rule.” Hearsay, unless it falls within certain designated exceptions, is excluded from introduction at trial. The reason for this exclusion is because hearsay evidence is less reliable than direct testimony. If a witness is asked: “Who did Mrs. Smith say caused the accident?” Objection, hearsay! Says the opposing attorney. This would be asking for hearsay, because the witness is being asking for a statement made outside of court and intended to prove the matter stated that a specific person caused the accident. To avoid the hearsay rule, Mrs. Smith could be asked to testify and directly testify to who she saw caused the accident. Because Mrs. Smith directly testifies what she saw, not asking someone else what she said she saw. Also, if a person testifies about statements made out of court, but those statements are not to prove a matter asserted, those statements can come into evidence. 1 - If a party to the lawsuit makes a statement out of court and someone testifies to what he/she said, this is an exception to the hearsay rule. 2 - If the out of court statement is consistent or inconsistent with the witness’ statement in court. 3 - A statement made by a dying person concerning the cause or circumstances of the death. 4 - Certain business records which contain hearsay statements may be admitted with proper authentication. There are actually many exceptions to this rule, but these exceptions are based upon the principal that the statement will lead to the truth. How Do I Know If I have a Product Liability Claim? 3) When a product is not properly labeled to warn of potential injury. Just because a person is injured from a product, does not auto-matically mean there is a case or that the product caused the injury. Many times, an injury occurs when someone uses the product in a way not intended by the manufacturer. For example, children’s scooters cause injuries to their riders all the time, however, most injuries result from improper or negligent use by the rider him or herself. Here are three examples of product liability claims. Improperly designed product: A pressure cooker is designed so that the opening latch is not properly linked with the pres-sure gauge to keep it closed until the pressure is fully re-leased. The user opens the latch and hot liquid spews out of the cooker causing burn injuries. Failed product: A tire is properly designed, but during the construction of the tire, the steel belts improperly rust and fail while a driver is traveling at 65 mph. The car flips and results in paralyzing injuries. Lack of Proper Warning: A medication is issued for use for treatment of a particular disease. The manu-facturer of the pharmaceutical knows the medication has cer-tain side effects, which if the medication is used for an ex-tended period of time, will cause liver failure. The manu-facturer fails to include a prop-er warning on the bottle or label regarding the side effect. The drug causes injury by the reasonable use of the product. Strict liability applies to prod-uct liability claims. This means that negligence is not a prereq-uisite to the claim. However, one injured by a product, must prove one of the above scenar-ios and the product was being used in a reasonable manner. What is a paralegal, and how do they help my case? A paralegal is an individual who holds him or herself out as a paralegal, through training or experience, and who works under the direct supervision of an attorney. A paralegal is authorized to perform a wide variety of work, including, case planning, development, and management; legal research; interviewing clients; fact gather-ing and retrieving information; drafting and analyzing legal documents; collecting, compiling, and utilizing technical information to make an independent decision and recommendation to the supervising attorney; and representing clients before a state or federal administrative agency, if allowed by law. Although lawyers assume ultimate responsibility for all legal work, they delegate many tasks to paralegals. Paralegals perform many similar tasks as lawyers, however, they are explicitly prohibited from carrying out duties considered to be within the scope of the practice of law, such as giving legal advice, and representing cases in court. One of the most important tasks a paralegal has is helping lawyers prepare cases for settlement or trial. Paralegals will often perform the initial investigations of facts of cases and ensure all relevant information is considered in each case. Thereafter, they organize and keep track of all important case documents and make them available and easily accessible to the attorneys. After they analyze and organize the information obtained, paralegals may prepare written reports, initial letters to various companies, and speak to many people asso-ciated with the case. The attorneys then use this information in determining how each case should be handled. If an attorney decides it is neces-sary to file lawsuit on behalf of the client, paralegals may be involved in preparing some of the initial paperwork to be filed with the court. Since paralegals often work directly with clients or potential clients, a paralegal should be able to communicate well, be attentive to what the client’s needs are, and then document and present their findings and opinions to the attorney. While it is ultimately the attorney’s decision on how to proceed with each case, the para-legal provides insights and recommendations to assist the attorney. Paralegals in law offices often help keep the cost of legal ser-vices down. However, many people believe that if they go to a document preparation ser-vice, they can get the same quality service as a legal office. This is not the case (unless your lawyer is not very good). In fact, document preparation firms, even if they call them-selves "paralegals," are limited to provide "self-help" assistance, as defined in 6400 of the Business and Professions Code. If any legal advice is necessary, they must refer you to a lawyer, however, all too often, they cross the line into practicing law without a license. Connie Macias, is our paralegal and has been with us for many years. She does a great job and we are glad to have her assistance on our cases. What do I do if called as witness to testify? There are several circumstanc-es when you could be called upon to testify in a court or at a deposition. For example, you are at a grocery store when you observe a shoplifter. You report the criminal activity and the individual is arrested. If the matter goes to trial, you could be asked to testify. Or, you might be a witness to, or a party in, an auto accident. Another scenario would be the necessity of testifying in a di-vorce or probate matter. Tens of thousands of deposi-tions are conducted in Califor-nia every working day. The likelihood you will have to testify some time in your life are pretty high. Here are some tips if you are called to testify. If you think you witnessed something where you might have to testi-fy, immediately write down what you saw, heard or experi-enced. This way you will be able to refresh your memory when called to testify. Always tell the truth. Lying under oath is a criminal offense. Tell the truth even if you think a lie will sound better. When testifying, answer only the question asked. If the questioner wants more infor-mation, they will ask additional questions. If you don’t understand the question, let the examiner know so you can get clarifica-tion or have another question asked. required. Don’t say "uh huh" or "yeah". Speak clearly and sufficiently load for all to hear your response. Be Cooperative but not Manipulated. Give the an-swers as you understand them to be. If the lawyer tries to twist your words, reject the rephrasing and restate your position. Never argue. You are there as a witness, not as an advocate. When testifying, allow the question to be asked before responding. Don’t antic-ipate the question or attempt to speak over the questioner. Also, be patient with the pro-cess. Delays and inconvenienc-es will occur. These few tips should help you if you think you may have to testify as a witness or a party in a criminal or civil action. Ontario Personal Injury Attorney | What is a Product Liability Claim? An area of law we often hear about in the news, or we associate with large verdicts, is that of product liability. This is an area of law where those who produce, distribute or sell products can be held responsible for injuries caused by those products. Injuries from these products can result from the product failing, from the product operating as intended but they still cause injuries because of improper design or due to a failure to warn the consumer of certain dangers associated with the product. These laws are, for the most part, govern by the laws of each State. 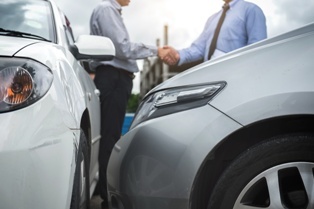 In California, there are four potential theories of liability, these include, negligence, strict liability, breach of warranty and various consumer protection laws. Here are some examples of product liability claims. A woman uses a pressure cooker to cook some soup. The pressure cooker has a timer on it along with a locking mechanism to keep the lid closed during operation. The timer goes off indicating that the soup is complete. The lock disengages, however, the pressure in the cooker has not all been released. The woman opens the lid and scalding soup bursts from the cooker, scalding the woman from her neck down to her waist. Another example is when a man was performing an industrial cleaning job with a high pressure water hose when the 10-inch brass hose nozzle split apart, striking his face and causing extensive facial fractures, eye damage, dental injuries, traumatic brain injury and additional psychiatric injuries. It was found that the nozzle was improperly cast, resulting in one wall being inordinately thick while the opposite side was less than two human hairs thick. Both of these cases resulted in awards over a million dollars because of the injuries suffered from either improperly designed products, like the pressure cooker, or improperly manufactured products like the nozzle. Just because a product is sold to the public does not mean it is safe. If you believe a product was defective and caused you or a loved one injuries, give us a call so we can assist you in evaluating whether you have a claim. Rancho Cucamonga Personal Injury Lawyer | Why do some Personal Injury Cases take so long to Resolve? There are so many reasons why this might be. Let’s first start with the time it takes to recover from one’s injury. Some injuries take many months or years, to recover from. Unless, there is a policy limit issue (i.e., there is not enough insurance available to cover all the damages) waiting for the healing process to reach a stable point is critical to achieve the best possible recovery. If you settle too soon, then all the injuries will not be properly addressed in the settlement proposal. Generally, prompt medical care and completion of treatment results in earlier settlements. Following a doctor’s advice for treatment is also generally best for reaching a reasonable settlement. Another reason is that the insurance company and its adjuster are being unreasonable in adjusting the claim. For example, if our office issues an initial demand for $15,000, but the insurance company refuses to resolve the matter for more than $6,000, we might have to take additional time to work on the insurance company to increase the settlement offer while we inch our demand lower to get to a reasonable settlement compromise. Some times extra time is necessary to more fully development key points that add value to the claim, resulting in increased offers. A third reason is that the insurance company and our side, do not see eye-to-eye on the issue of liability for the claim, causation of the injuries or the value of the claim. This may then result in filing a lawsuit. From start to finish, a lawsuit can take years to reach trial. Throughout the entire time the lawsuit is pending, we are pushing to secure a reasonable settlement, but sometimes the two sides cannot reach an agreement and a judge or jury needs to make the final decision. Finally, with some law offices, not ours, the attorney does not keep track of the cases and allow his/her staff to manage the cases from start to finish. In our office, we have an extensive case management system supervised and reviewed routinely by myself. Utilizing excellent team members, our technology and constantly paying attention to our cases help us move the cases along as quickly as is practical for the particular circumstances. Can I Recover Damages From Others If I am Hurt on the Job? The answer to this question depends on the circumstances of the accident. If the accident was no one’s fault, your fault, or the fault of a co-worker, then the answer is most likely no. Worker’s compensation insurance is the exclusive remedy for any injury or death in those circumstances. Let’s change the circumstances. Assume that an employee was working for an Ontario trucking company. While on the road, an accident results from the fault of another. This traffic collision causes serious injuries. The injured Ontario trucker can seek recovery from both his employer’s worker’s compensation insurance carrier as well as from the person who caused the accident. However, in order to avoid a double recovery from the two insurance companies, once the Ontario truck driver recovers damages from the insurance company of the negligent driver, he is obligated to reimburse the worker’s compensation insurance company for the money it paid out on behalf of the injured worker. This is called subrogation and indemnification. Also, financial recovery that exceeds the amount received from worker’s compensation insurance can be used to offset future payments by the worker’s compensation insurance company.